How Do You Select, Interview and Hire Realtors to Sell a Home in Sun Lakes AZ? If you want to sell a home in Sun Lakes, AZ, it’s a good idea to interview two or three REALTORS®. But, how do you decide whom you want to include in an interview? 1. Ask your friends and neighbors if they have had any experiences or have recommendations with local Realtors who concentrate in Sun Lakes Realty. 2. Take a drive through the neighborhood and note the “for sale” signs. Are they consistent with the recommendations that you were given? Have the signs been out for awhile or do they have an “under contract” or “sold” rider on them? You want a REALTOR who knows how to price your home for sale. Overpricing means your home sits on the market and that affects the number of showings and offers you may have. Now that you have asked for recommendations and noticed signage in the neighborhood, it is time to do a little further homework to determine which Sun Lakes Realtors you want to interview. If you are looking for recommendations, do you conduct a Google search? I admit I use Google quite often. If I am looking for a great restaurant in a particular area, I Google something like “Best Italian Restaurant in Chandler AZ.” Most of us find what we want on page 1 of Google. How many times do you go to page two, three or four? Those listings that appear on page one of Google are doing an excellent job of reaching their intended audience. The same goes for real estate. The National Association of Realtors says that 95% of people searching for a home start their real estate search online. That is a huge percentage and why it is important that the REALTORS you interview have a strong online presence when they market your home. If those 95% are searching for homes and your REALTOR doesn’t show up on page one or two of Google, how will they find your home? A website must rank strong and have traffic to rank on page one. That is why The Kolb Team employs both traditional print advertising and leverages online marketing with ads and marketing strategies to find buyers for your home. And, video marketing is leading the way in real estate marketing technology. Some REALTORS will tell you video isn’t necessary to sell your Sun Lakes home. But, go to Google and then “videos,” and type in “Sun Lakes Realtor,” “Sun Lakes Listing Videos” or “Sun Lakes Community Videos,” and see who comes up. You will see The Kolb Team dominates those keywords that people are using when looking for homes to buy in Sun Lakes. Other realtors who aren’t using video simply do not want to invest their own dollars in marketing your home where it will be viewed the most. 4. Start with the REALTORS who market well. Now that you have recommendations, driven the neighborhood noticing for sale signs and done your online search, it is time to make a decision on who you will interview. Those REALTORS whom should be considered are the ones who are investing in marketing your home and you will find that when you do an online search. 5. Prepare a list of questions to ask. How many homes have you sold in the past 6 years? The Kolb Team has this information to show you directly from MLS verifying what we say. Every agent has access to this information. Ask them in advance to bring that information with them. Also ask them what social media they use in marketing homes that they list. Then, go online and check it out. The Kolb Team has a YouTube Channel specifically for marketing our listings online. We also have a Sun Lakes Facebook page with over 3,200 people. We post your listing as an advertisement targeting people in the Sun Lakes demographic in strategic areas of the country. Some of our competition says they do everything The Kolb Team does, but it is interesting that they cannot show you their You Tube channel with professional videos. They don’t have a business Facebook page with a large number of followers, and they don’t have a website that ranks where 95% of people are searching. Sell a Home in Sun Lakes AZ with the Right REALTOR. There are many good REALTORS, so focus your efforts on finding the best. Don’t settle for anything less when one of your largest investments is at stake. If you interview two or three real estate experts whom meet the criteria I’ve mentioned, select the one that you connect with most. The relationship you have with them is important in a home-sale transaction. 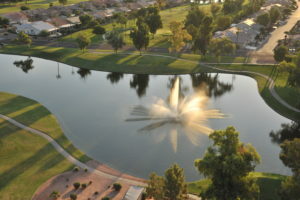 We would love to be among the REALTORS you choose to interview when selling your Sun Lakes AZ home. We will market your home like no other! And, we’ll prove it to you with written results and our online presence. Call us at 480-440-0849 or contact us here for more information.